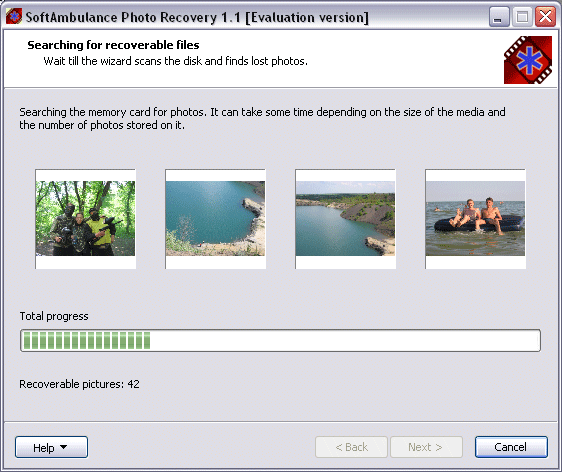 SoftAmbulance Photo Undelete is a powerful and highly specialized tool designed specifically to undelete and recover digital images. A unique Image Recovery technology thoroughly scans the entire disk or memory card to locate and reconstruct digital pictures up to the last bit. Even if pieces are missing, Image Recovery ensures that the pictures are restored in the correct format, and can be opened with no problem in an image viewer or editor. Qweas is providing links to SoftAmbulance Photo Undelete 4.23 as a courtesy, and makes no representations regarding SoftAmbulance Photo Undelete or any other applications or any information related thereto. Any questions, complaints or claims regarding this application SoftAmbulance Photo Undelete 4.23 must be directed to the appropriate software vendor. You may click the publisher link of SoftAmbulance Photo Undelete on the top of this page to get more details about the vendor.